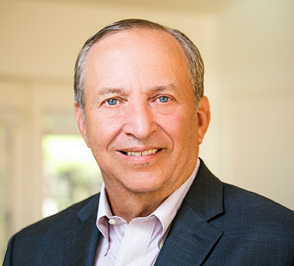 On April 7, 2016, Summers talked with John Hockenberry of PRI’s the Takeaway for a series on the the state of the global economy. The discussion included the sluggish economy, less energy driving investments, Sanders, Trump and the Broadway musical, Hamilton. We’ve looked at how oil prices are affecting buying power for everyday people, and just how worried analysts are about unease in China and Europe. And while our guests have been somewhat optimistic on global economic prospects, many of our listeners have expressed anxiety with their personal economic status. Today, we conclude our series with a conversation about that dissatisfaction with one of the key figures of the 2008 financial crisis and recovery: Larry Summers. He’s the Charles W. Eliot University professor and president emeritus at Harvard University, but you most likely know him as the 71st secretary of the Treasury for President Clinton, and the director of the National Economic Council for President Obama. Summers says that while we’re not on the verge of another 2008 scenario, the recovery isn’t getting to as many people as it should.